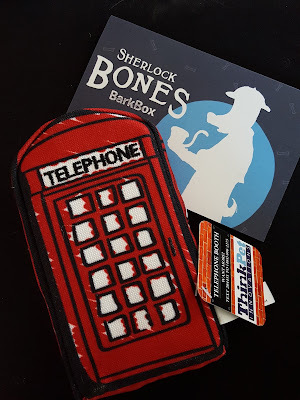 Pint-sized and Simple: BarkBox Review - March 2016 + Free Box for New Subscribers!! BarkBox Review - March 2016 + Free Box for New Subscribers!! When it comes to dogs, my husband and I are the corniest dog parents out there. 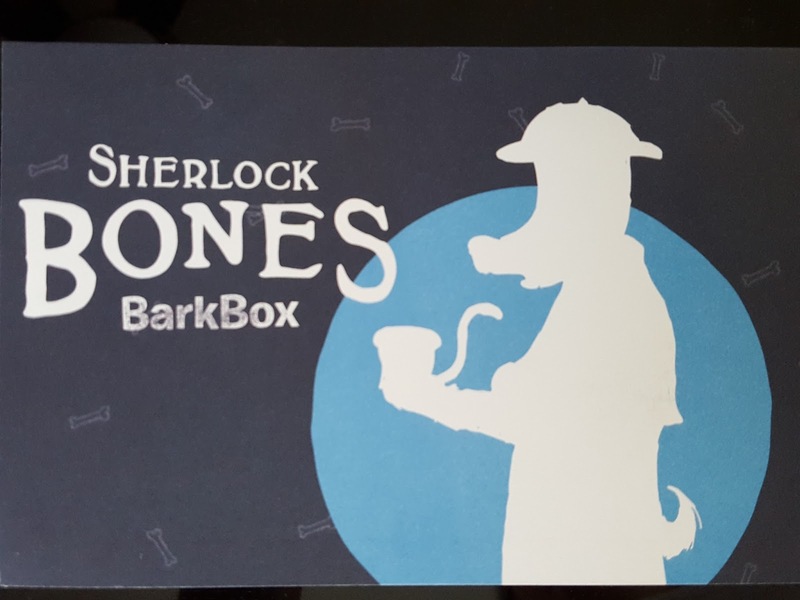 And Barkbox knows how to do corny. It's why we get along so well. Every month has a theme and March is Sherlock Bones. 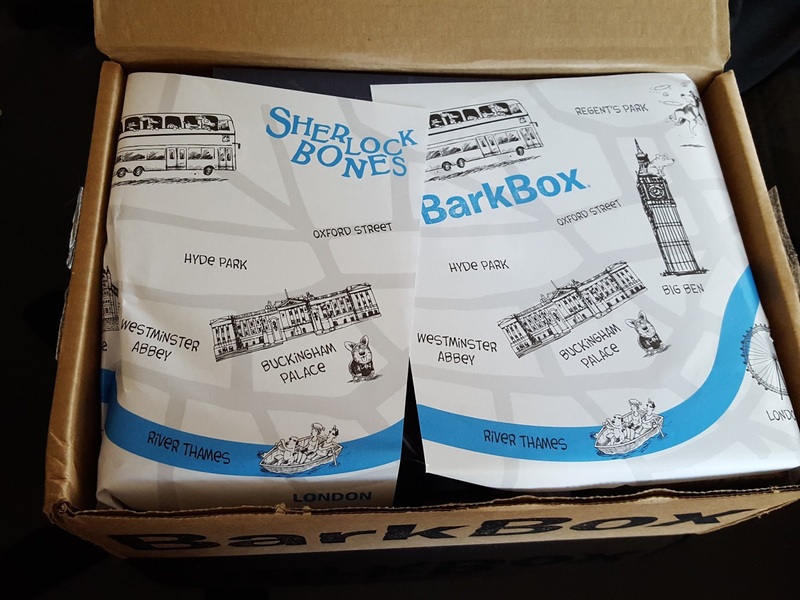 Cute, Barkbox, very cute. Think Pet Innovations Telephone Booth Toy (Value: $14) - Ahh, the iconic red phone box symbolic of Sherlock's fake demise. 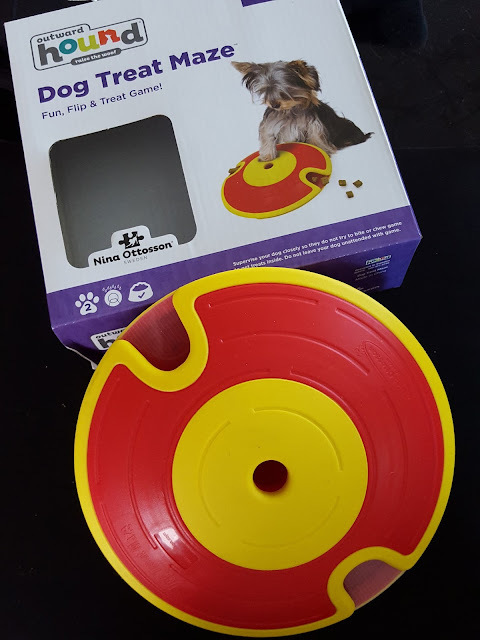 This is a sturdy canvas toy and the description hints that there's something hidden inside the puncture resistant squeaker (which feels more like a rigid box). For once I think we have a toy that will take the dogs a few days to break through because there aren't any flappy parts or strings for them to tug at. And I'm not gonna lie; I'm pretty curious to see if this phone booth holds any secrets. I need to send Macho to investigate ASAP. Mom, you gave me a defective toy. This one won't open. 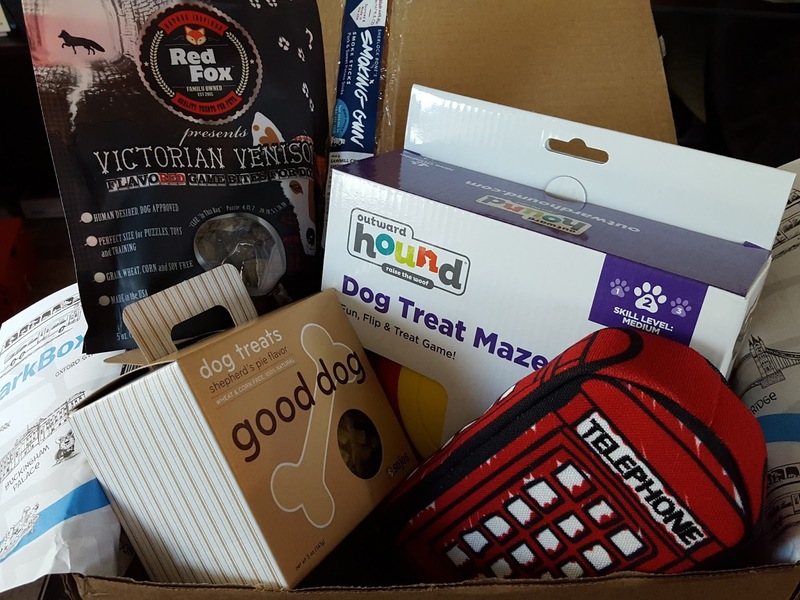 Outward Hound Treat Maze - Small 7" size (Value: $14) - Thiiis. This is the exact type of toy I was hoping Barkbox would start sending. Brain-stimulating toys that my doggie detectives have to figure out in order to get their treats. Macho will go at it for hours until he finally gets the treats out - and I'll get rewarded with an hour of peace and quiet when he knocks out from mental exhaustion. Pebbles isn't as persistent; her brain gets tired after about 30 minutes. 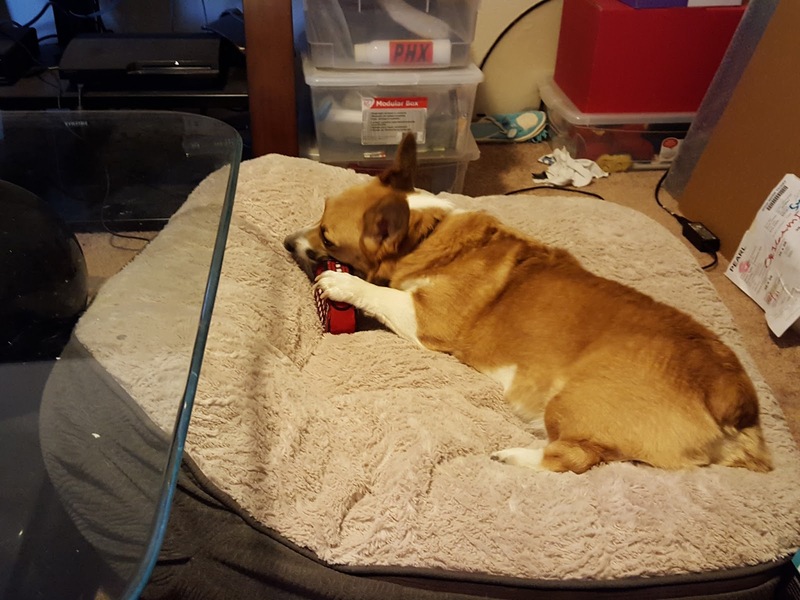 But either way, I'm glad both dogs enjoy a good brain workout. So here's how this UFO-looking thing works: you drop a treat in the top and it has to go through an internal maze before it comes out at the edges. However, it doesn't open so I have no idea what the maze looks like. Also, I'm not sure how you'd wash this since it's glued shut and there aren't any helpful cleaning instructions. I also don't think it's dishwasher safe because there's a thin plastic sheet going through the middle. It's the kind of plastic that some portfolios are made out of - not too heat-resistant. Red Fox Naturals Victorian Venison Treats (5oz value: $7) - These go with the Treat Maze. 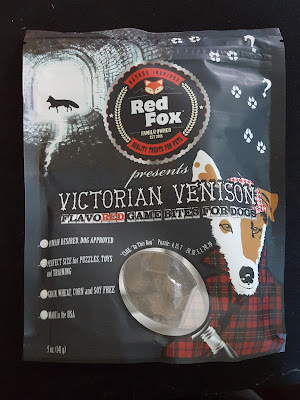 They're bite-sized morsels of venison and are grain, wheat, corn and soy free. These are totally corgi treats. What makes me so sure, you ask? They're red fox-approved, and a fox looks sort of like a corgi, soo...doesn't it? Both pups will definitely approve. I'm pretty sure they've tried venison and liked it. In fact I'm pretty sure they've loved every protein they've eaten. That includes crickets and grub. Dogs are such disgusting interesting creatures. Smoking Gun Smoke Sticks (3-pk value: ) - I think this is the first time that I've seen Bark & Co. put out a dog chew. These are smoked all-natural pork and sweet potato sticks. They're on the brittle side and will probably be eaten faster than an Etta Says chew. Barkbox consistently puts out quality treats and I've never been disappointed in one, but I think the stars of this box are the toys. 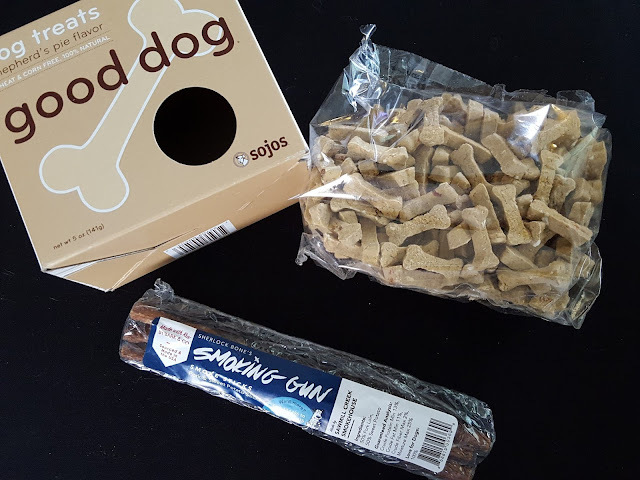 I want to say that the treat maze is my favorite thing in the box because the concept is freaking pawsome, but not being able to wash it is a total buzzkill. I can be fussy when it comes to cleaning things, and an eternally slimy slobbery toy that can't air out doesn't sound like something I'd keep around for long. On the other hand, the phone booth is a total win. It's probably the most rigid canvas toy we've ever had and I think it should last a good week before the dogs rip through it.